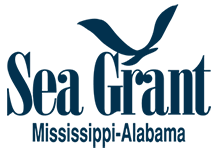 Since 1988, the annual Mississippi Coastal Cleanup has been responsible for organizing thousands of volunteers to remove millions of pounds of trash from our coastal environments. In addition to the Coastal Cleanup event, we developed and implement educational programming throughout the year. This educational programming promotes the importance of proper trash disposal and demonstrates methods for reducing and properly disposing of trash. We cannot undertake these activities without the donations from our great sponsors. If you would like to support our Coastal Cleanup and associated educational programming, please consider donating to our cause. Your sponsorship will be greatly appreciated and recognized on the Coastal Cleanup website. All donations are 100% tax-deductible and will be receipted accordingly. We gladly accept check, credit card, and in-kind donations. If you have any questions, please contact Mandy Sartain for more information. Donations may be made online at MSUFOUNDATION.COM. Please indicate CCCP Fund (312924) where applicable. Please calculate an estimated value of your in-kind gift and contact Dr. Eric Sparks at the Mississippi State University Coastal Research and Extension Center with your donation request through email (amanda.sartain@msstate.edu) or phone (228-546-1031).